For energy efficient performance, top quality and lasting value in replacement windows, Independence homeowners trust Renewal by Andersen of Kansas City. Like Independence’s own Harry Truman, you’ll get straight talk about your new windows and doors from Renewal by Andersen of Kansas City. We have the highest quality products, the most professional installation crews, and the industry’s strongest product warranty, so we have nothing to hide! When it comes to the safety and comfort of your home and family, you should not settle for cheap imitation windows and doors. They will be more costly and problematic, and simply cannot deliver the performance or lasting value you’ll enjoy when you choose Renewal by Andersen of Kansas City. 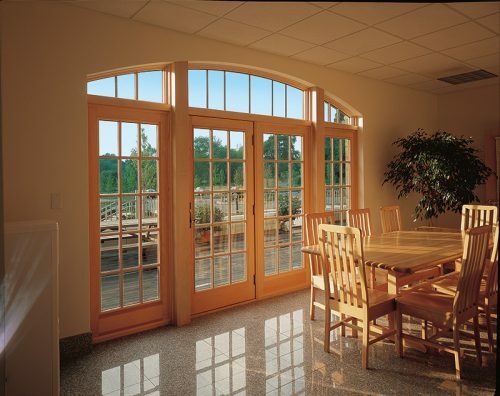 For new doors and replacement windows in Independence, MO, call the experts of Renewal by Andersen of Kansas City. We’re the region’s ONLY authorized distributor of Renewal by Andersen replacement windows and doors, and your most trusted source for exceptional customer service coupled with top quality products. For a FREE estimate on Renewal by Andersen replacement windows and doors schedule a FREE in-home consultation with our Independence replacement window experts, by calling Renewal by Andersen® of Kansas City at 913-385-1300. Or simply complete our handy request form.